'80s gothic rock: Gothic bands and art, vol. 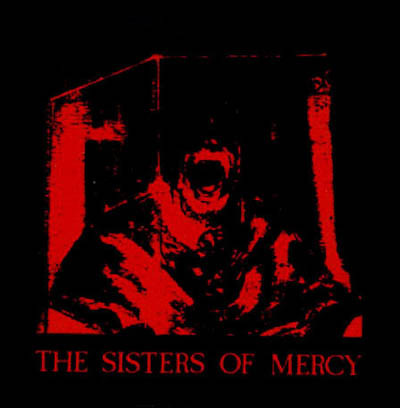 4 (Sisters of Mercy) - Bacon Electric! Gothic bands and art, vol. 4 (Sisters of Mercy) - Bacon Electric! I thought this was known stuff, but since you insist, Iet's see it. 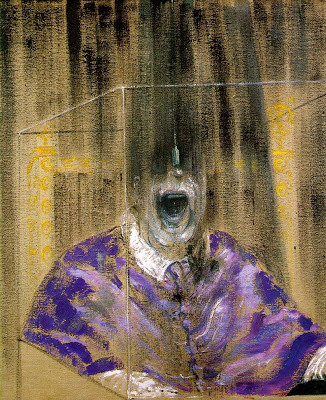 monochromatic image of a Francis Bacon painting. This art piece is entitled "Head VI" and was painted by the great Irish-born British existentialist artist in 1948. 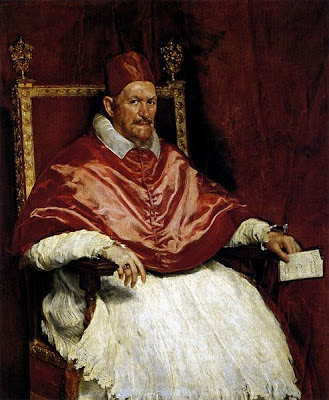 It is a part of a series named "Heads in a room" and it is a grotesque pictorial comment on Velazquez's portrait of Pope Innocent X made in 1644. Art was a serious reference point for many traditional goth bands artwork.